Hi. I haven't been here for awhile. Apologies for that, but I've had some thinking to do, and to be honest, I'm not sure whether I'm done thinking or not. I am back, though, at least for today. I think I flamed out for awhile there ... blogging and writing and blogging and writing and blogging ... until I thought I might implode. Everything felt like work. Just dragging myself out of the bed in the morning turned into a miniature triumph. Writing seemed like such a bloody chore, I had force my way through every blog post. Fiction was a little easier, but not by much. Even though I wasn't under contract anymore, I kept pushing myself as if I was, and that attitude had a negative impact both on my work and my mental health. The weird thing is that I never felt as stressed while writing under contract as I did when there is no contract. Writing on spec is hard, because you're never sure if the next thing is going to sell or not. I placed a lot of unnecessary pressure on myself. After some time off and a good long think, I realized I needed to write the stories and posts that I love writing. I'll never make money at this gig, so why be miserable? Just to draw myself out of my funk, I wrote some blog posts about grimoires. I enjoyed working on them and had a great deal of fun. Then I decided to release a Los Nefilim novelette to my newsletter subscribers one chapter at a time. It's been very well received. My subscribers are having fun and so am I. The project isn't overwhelming, and I am slowly, but surely falling back into good writing habits. I'm exceptionally pleased with the rewrite of my proposal for a new Los Nefilim novel. I'm also working on a Los Nefilim novella and a short story set in that world. In addition, I'm working on a contemporary novel that is beginning to take shape. 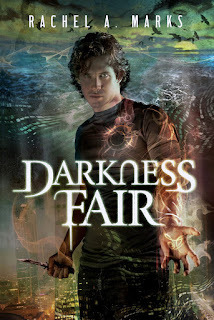 I've also got some reviews of other authors' books that I'm looking forward to writing. Self-care has become my watchword, and I'm learning to pace myself better. I want to thank the authors here at Supernatural Underground for being so supportive of my time away. I think I'll be around a bit more in the coming months, but if you don't see me here, it doesn't mean I've left. It simply means that I need a little time to regroup and clean up my attitude before showing my face in public. Sometimes I just have to take five. I'm sure you do too. The End of Chaos - When Can We Do It Again? It's very strange to be a debut author after more than a decade of striving to get through that gateway. But it's especially strange if your debut is birthed as three books released in eighteen months. *gulp* I feel that I can now tell this tale, at long last, and maybe, through my own weakness, fellow writers out there can figure out how you'd do it better, or you amazing readers can see how the cheese is made. For now, I'm just glad I survived. The truth is, there are enough ups and downs in merely creating/editing/proofing a first book to make the most sturdy soul blanch. Because as the edits begin you become acutely aware, as you comb your way through rewrites and plot spaghetti, that this is only going to be the beginning of a very foggy journey. There is a long way still to go. But in spite of your doubt, you trudge your way through the edit phase of Book One even as you begin the daunting task of attempting to create a sequel—though you've become fairly sure through the multiple rounds of edits on Book One that you're actually a talentless hack, a charlatan, who couldn't write copy for the back of a cereal box. Needless to say, doubt and the fear of impending failure become your familiar bedfellows as you complete those edits, then tie up the over-sized manuscript for your "bridge book", all the while being terrified everything you've been working on is a flim-flamming cliche. Your dreams at night now consist of rooms full of people laughing and pointing at you in mockery. And in the waking hours (or the witching ones) you wander in a brain fog between your coffee pot and your writing desk, making interesting mosaics on your flooring from dribbled vices like wine or Milk Duds. But still, at long last, you turn in the jumble of words called Book Two just as Book One releases out into the world. Shockingly(!) not too many people trash your attempt at a debut. It's actually received with interest—if not fanfare—and you feel better. You think, Huh, maybe I can do this author thing. It hasn't killed me yet! And then the edits for Book Two begin. Your editor also reminds you of that whole "Book Three" thing you should already be half way through. *blink, blink* Book Two begins to feel contrived and underdeveloped as you attempt to untangle it, and your panic bunnies start jumping through your subconscious again, this time with great clanging symbols of ineptitude. But, yet again, you turn in the edits and somehow manage to patch together something resembling a trilogy finale. And just as Book Two flies out to readers, you feel yourself come back to reality with a weighty thud. Because in the midst of the fog, you've forgotten your children's names, lost the dog somewhere, and you're pretty sure you accidentally went to church in your pajamas several weeks in a row. 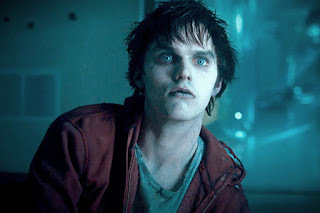 Everyone who knew you BC (Before Contract) wonder if you're even still alive, but you are on a first name basis with every Starbucks barista in town. Still, you somehow have this wide-eyed amazement at finishing (of a sort) this vast task that felt insurmountable only a year prior. You've turned in the over-written Book Three, and you are PUMPED to have this thing nearly in the bag! So, you work like a BOSS on those Book Three edits. You make those intelligible scenes and massive plot holes your b*tch. And then you smile in satisfaction as it all wraps up and is handed back in. You've finished edits for Book Three in record time, gotten your editor's high-fives for climbing Trilogy Mountain, set up all the marketing madness you can manage for the final release, and suddenly you sit back and look at your cat named Noodle and . . . and . . .
And a dark thought creeps in. What. Comes. Next? For eighteen straight months you've had your bones, brains, and soul pouring into this beast of a task, this epic arc of a story, and now, well, you need to figure out what's your insides gonna do now? Because who would you be if you weren't hunched over your keyboard with bagel and smear crusted in your hair?! You'd have to, like, be normal again. Uhk! This, my friends, is what my debut journey felt like. True confessions: I was scared of my inability to do this task as my agent and I jumped into the unknown, and now I am feeling the heavy lack of it. Because there is an alluring adrenaline to impossible deadlines, and I am definitely an adrenaline junky. I'm a go-go-go creator when pushed. I'm also apparently a massive masochist because I cannot WAIT to do this all over again. And again. Rachel A. 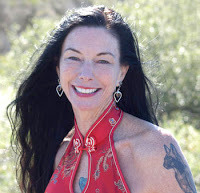 Marks is an award-winning author and professional artist, a SoCal girl, cancer survivor, a surfer and dirt-bike rider, chocolate lover and keeper of faerie secrets. She was voted: Most Likely to Survive the Zombie Apocalypse, but hopes she'll never have to test the theory. Her debut series The Dark Cycle, described as Dickens' Oliver Twist meets TV's Supernatural, begins with the Amazon Bestseller, DARKNESS BRUTAL. Have you ever walked out of a film thinking, "It was nothing like the book?" There's a reason for this conclusion, and it isn't necessarily bad script writing. When Pulitzer Prize winning novelist Jeffrey Eugenides talks about adapting a novel into film, he makes a good point. The book's story radically changes once it becomes visual. David Mitchell (the author of Cloud Atlas) agrees. He feels that a novel's size and scope has to be parred down to fit into a visual narrative. Things have to happen faster too. 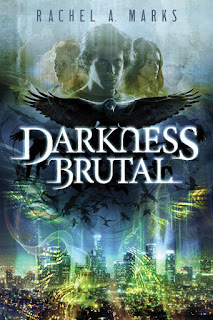 Where a novel can take its time world-building and developing its characters and history, giving readers thrills and elevated heart rates along with downtime and moments of chilling out, films don't have that luxury. Mitchell says where the novel is like a DVD box set, the film, costing over $100,000 per minute to shoot, puts the human eyeball in danger of exploding after the first 180 minutes. The film's plot must be delivered at the speed of light, or something close to it, compared with the novel. If we are in love with the book and sitting in the theater, lights going down, it can help to remember that adapting to film means transposing from one medium to another, a process that involves rethinking the entire story. First, it moves from telling to showing. That means description, narration and internal thoughts must be translated into speech, actions, sounds and visual images. Backstory, slipped in throughout a novel, isn't going to play out visually, unless a flashback is used. There are ways to portray nostalgia and history in film, but they are very different from getting the same message across in text. Another consideration is the fluidity of interpretation in novels. Scenery, ideas, characters' intentions and desires are suggested in the text, open to the imagination of the reader. In a film, the writer and director, and actors, are making much more definitive statements, open not so much to the imagination but recording what is seen as fact. Cast of characters can be an issue as well. Though HBO's Game of Thrones is managing to tell the ensemble stories, scope and scale of George RR Martin's novels, as Peter Jackson did with LOTR, it's easier to fit a multitude of characters into a book than a film. Even with a longer movie, or television series, there isn't the time or space to explore a large number of characters. There's only so much the viewer can keep track of in the period of time. Not only will the screen writer and director, time and space have a strong influence on the adaptation, the score composer will as well. The mood the music creates controls the interpretation of any scene in ways that the novel does not. If you doubt this, watch the same scene from Pirates of the Caribbean with four different sound tracks. In the end, you may fully enjoy a book more than the film, or vice versa, but it's fun, and revealing, to consider why. 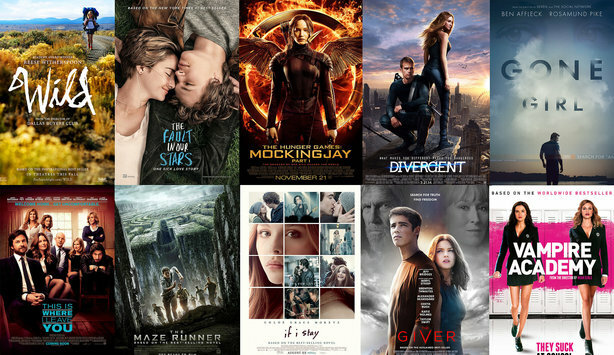 Do you have a favourite adaptation? We'd love to hear about it in the comments. 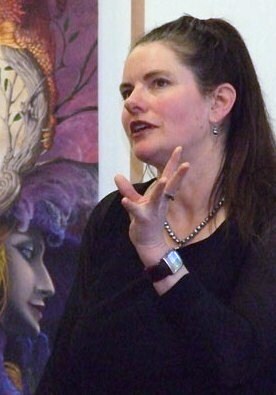 Today we are delighted to host Kristen Blount here on Supernatural Underground with a guest post on her involvement with the Sirens convention in the USA and the production and publication of the newly released Queens & Courtesans anthology. Despite reading almost exclusively in the speculative fiction genre, I am not much of a con-goer. 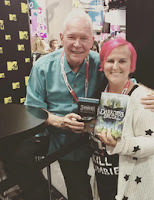 In 2009, though, a favorite author (Sherwood Smith) mentioned that she was going to be a Guest of Honor at the brand-new Sirens Conference – along with Tamora Pierce and Kristin Cashore. Yummm. Being a responsible, part-time employed, full-time mom, I decided that I couldn't really afford a weekend in Colorado (being 2/3 across the country from home). I received one of my best Christmas gifts ever that year… registration to Sirens! The conference describes itself as being, “dedicated to the diverse, remarkable women of fantasy literature: readers, authors, scholars, librarians, educators, publishing professionals, and characters.” Still, I did not really know what to expect and so was delighted to have a relaxing weekend in a mountain resort devoted to women in fantasy literature. The conference fostered conversations via roundtables, panel discussions, presented academic papers, and keynote presentations. It wasn't overly busy, with plenty of time built in for side conversations, walks, shopping at the book store, a visit to the spa, and impromptu meals with other attendees. I now look forward to seeing my “Sirens friends” every other year or so. I don't know how to emphasize how different and lovely I found the experience of sharing a love of fantasy with other women (and the few men who joined us). It has been a revelation to meet all these other people who love girls with swords, the monstrous feminine, and even a little romance. These are just three of the themes that Sirens has considered – along with faerie, retold tales, and hauntings. 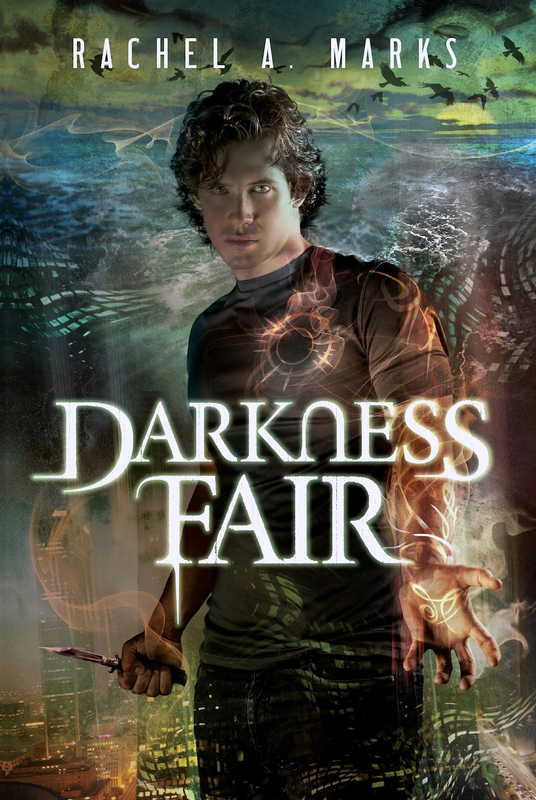 Finding new authors is always a bit of a struggle for me, since I am a shameless re-reader. This year, I discovered Renée Ahdieh's magical retelling of Shaharazad (The Wrath And The Dawn; The Rose And The Dagger) and Laurie Marks' Elemental Logic series. I now can't wait to meet to the authors! Kiini Ibura Salaam's short story collection, Ancient, Ancient, is waiting for me to have a few more brain cells to devote to it. For some reason, short stories seem to demand more from me as a reader. Speaking of short stories, something new and completely apropos arose among a group of Sirens attendees. We decided to produce an anthology! 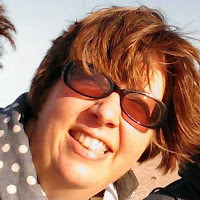 One of the writerly types talked on Facebook about having had a set of characters in her brain – a queen and a courtesan – who just would not leave her alone. This became a writing prompt, which quickly led to the proposed anthology to benefit our shared love of the Sirens Conference. I happily signed on as a beta reader and editor. What a terrific experience it has been! 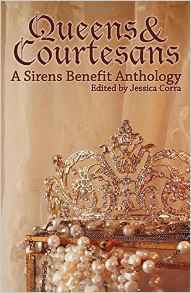 Queens & Courtesans: A Sirens Benefit Anthology, edited by Jessica Corra, showed me a wide range of ways powerful women could interact. In one of the stories I was lucky enough to proofread, all the characters are female: the ex-military space navigator/pilot, the nuns, and a bevy of school girls, one of whom is queen presumptive. Almost unbelievable, murderous plot twists aside, these women with different skills, agendas, and needs come together in frightening circumstances to work for a common good. In another story I met a prince's lover, who was chosen by his mother because she's blind. This story is strictly told from the blind girl's point of view, and it brings a richness of other sensory details with it. Every story in this anthology gave me something to mull over in the days, or weeks, after reading. If you have the opportunity, please consider purchasing a copy of Queens & Courtesans (available via Amazon and for most e-readers). It promotes the voices and concerns of women within the speculative fiction field. And mostly, it contributes to continuing the Sirens Conference. If you have the opportunity, I also encourage you to consider joining us some year for a weekend of reading, talking about reading, and writing. Queens and Courtesans is published today. To find out more, click on:. A lifelong reading enthusiast, Kristen enjoys speculative fiction most but will read just about anything that holds her attention and offers up a good story. With two adult-ish children who are nearing the end of school, Kristen has discovered the joys of free time to indulge in baseball, baking, and cross stitching. In order to pay the bills, she works in the local library’s marketing department as a graphic designer. Have you ever noticed that there can be fashions in names for Fantasy characters, just as there are in real life? Take “Ash” as in Aislinn/Aisling/Ashleen for example. It’s a real name, but in the mid-Noughts it ‘suddenly’ made a strong showing in Fantasy novels, particularly those with a YA flavour. 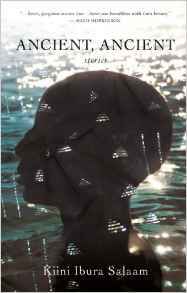 For example, Katie MacAllister’s Guardian series, published between 2004 – 2007, features protagonist Aisling Grey. 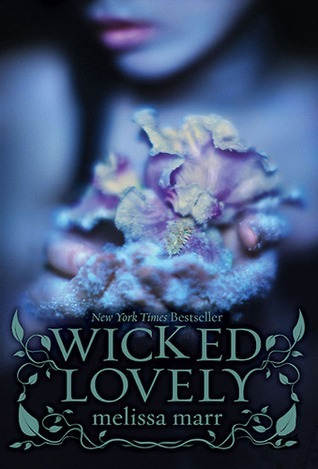 In 2007, Ash — short for Aislinn — was the lead character in Melissa Marr’s Wicked Lovely, while in 2009 Malinda Lo’s Ash (a retelling of Cinderella) had another Aisling as the main character. 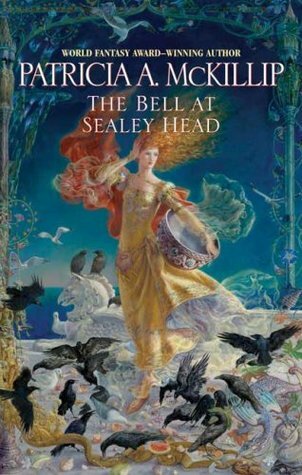 Almost simultaneously, Patricia McKillip brought out The Bell At Sealey Head (2008), which featured an Aislinn House as its (arguably) central location. Yet here’s where this gets really fun: one of the occupants of Aislinn House, and a main character in the book, was called Ysabo. 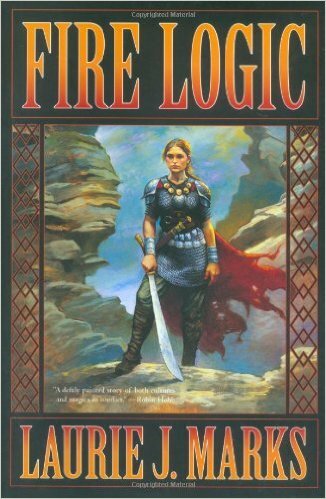 The previous year, 2007, Guy Gavriel Kay had published his standalone novel, Ysabel, with a main character of the same name — while Melina Marchetta’s first foray into Fantasy, the novel titled Finnikin of the Rock, had a main character called Isaboe. Noticing a trend, anyone? Of course, all are variants of “Isabel” — so I must not omit Bella, short for Isabella, of the Twilight saga (2005 – 2008) fame. Last but not least, I have to mention “Kat” — with Katsa in Kristin Cashore’s Graceling (2008), and Katniss in Suzanne Collins’ The Hunger Games (also 2008). 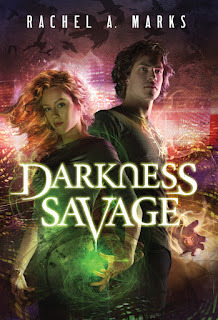 I’m sure there are many more you can point to — and I'd love for you to share them in the comments — but I thought these were sufficient to illustrate how there really can be fashions in Fantasy names at certain points in time, just as there are in everyday life.